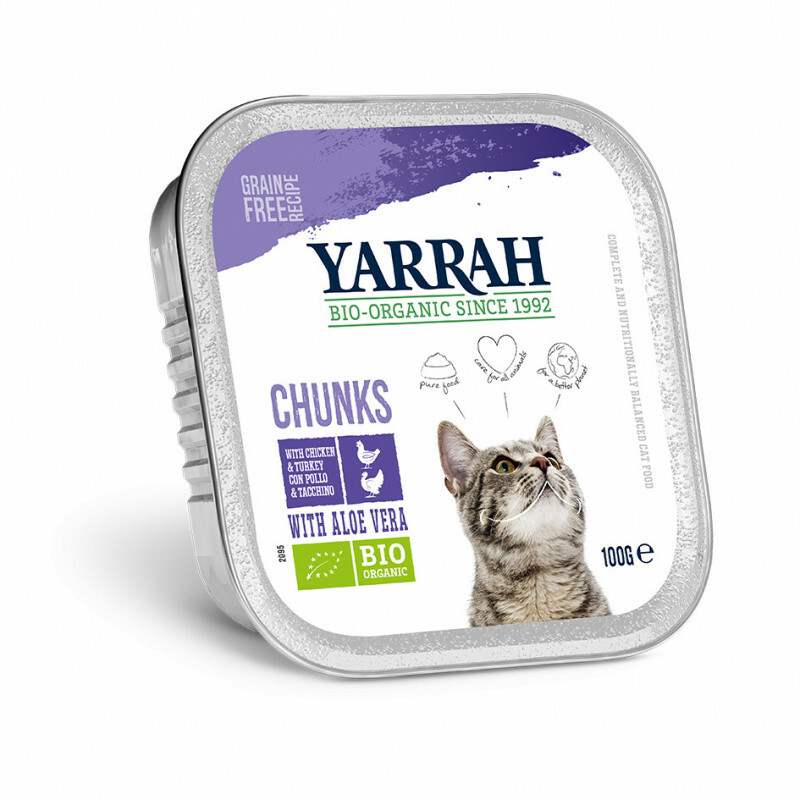 Yarrah Organic Chicken & Turkey Chunks with Aloe Vera contains 51% meat and is a complete Gluten-Free cat food. 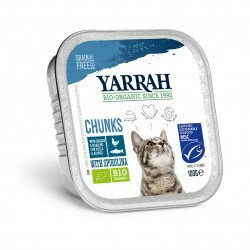 The delicious combination of chicken and healthy turkey in tender meatballs in a tasty gravy are prepared with Nature's Finest ingredients. 100g alu-cups also come in trays of 16. The Yarrah Natural Biotics® Health Program has identified Aloe Vera as a natural substance that can have a positive health effect for your cat. 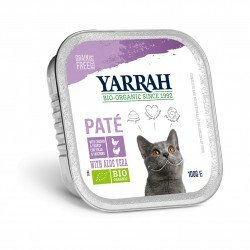 Although the health benefits of Aloe Vera have not been medically proven (Yarrah will not test on animals), the general consensus is that Aloe Vera helps promote healthy digestive surfaces and can help encourage normal muscle and joint functions. 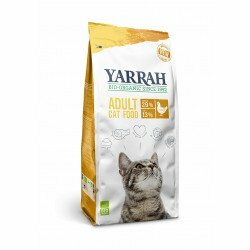 This product is 100% organic and contains no artificial additives, gluten or sugar.